Dual Purpose: Treatment Table can be turned into a Desk. 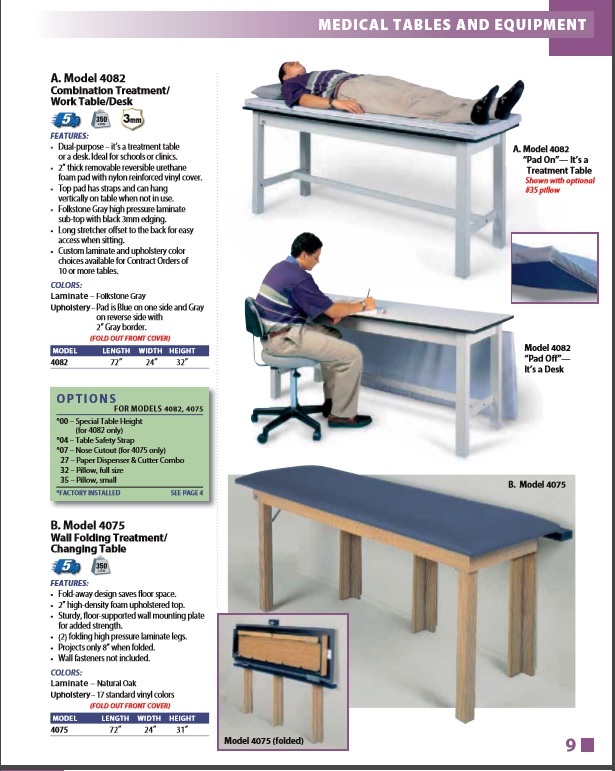 The Hausmann Combination Treatment/Work Table/Desk is ideal for schools and clinics. Its foam pad is both removable and reversible with straps that hang vertically when not in use. 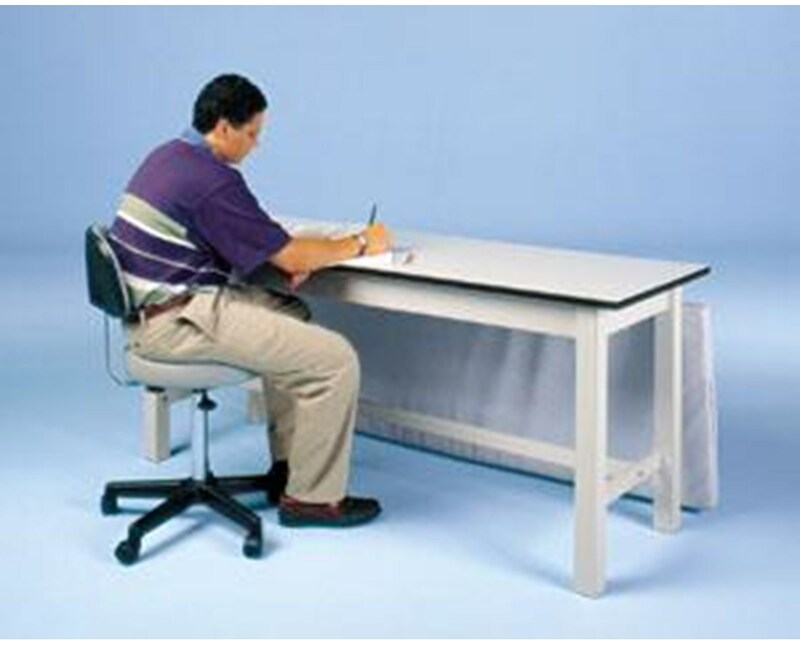 The table comes with a long stretcher offset in the back for easy access of the pad when sitting, making the table convenient and easy to use as both a Treatment Table and a Desk. Specifications: The Hausmann Combination Treatment/Work Table/Desk’s dimensions are 72"L x 24"W x 32"H with a weight capacity of 350 lbs. The Table has Folkstone Gray high pressure laminate sub-top with black 3mm edging and the removable pad is made of Urethane Foam with a Nylon reinforced Vinyl Cover. Color: The Treatment Table’s Reversible Foam Pad comes in Blue on one side with Gray on the reverse side with a 2” Gray border. Custom laminate and upholstery colors are available with contract orders of 10 tables or more.